When it comes to investment banking, London hardly needs any introduction, with the London City being a synonym for the industry as much as New York’s Wall Street. While it’s virtually impossible to thoroughly cover all the investment banks which have set up shop in the UK capital, here are some of the best places to either kick off or continue your investment banking career if you happen to find yourself on the foggier side of the Pond. Starting with the bulge brackets, one of the best options that come to mind is JPMorgan, voted as the top graduate investment banking employer in the latest Guardian UK 300 survey. And it is no wonder, with the bank also offering various internship programs in areas such as Capital Markets, M&A, as well as UK Product & Industry Coverage under its JP Morgan Cazenove brand. While pushed into the number two spot in the Guardian UK 300 survey, Goldman Sachs has topped another, perhaps even more important ranking – the bonus chart. The Wall Street Journal’s MoneyBeat blog recently quoted a new survey by salary benchmarking website Emolument.com as showing that the average bonus paid by Goldman Sachs to investment bankers at director level in London stood at £194,000 for 2014. Manhattan-headquartered giant Morgan Stanley is one of the major names in finance with a London office in Canary Wharf, which in the past few years has been challenging the City’s dominance as London’s financial district. It is also worth mentioning that Morgan Stanley is the bank which in recent years has been advising UK Financial Investments, the government agency which manages the British taxpayers’ stake in bailed-out Royal Bank of Scotland and Lloyds. Another American bulge bracket with no need of an introduction, Citi has been present in London since the beginning of the 20th century. Today, the UK is the headquarters of Citi’s Europe, the Middle East and Africa (EMEA) region, with the lender’s main office being in Canary Wharf. Switzerland’s Credit Suisse has also chosen London as its main base for operations in Europe, Middle East and Africa. The bank’s offices in the UK capital have a total of over 7,500 employees working in Investment Banking, Asset Management and Private Banking, as well as support functions. When it comes to investment banking, the UK itself also has a few tricks up its sleeve, with Barclays being the first one that comes to mind. The blue-chip lender’s investment banking arm, Barclays Capital, was formed in the 1980s and has since been a key part of Barclays’ business, further strengthened in 2008 through the acquisition of the majority of Lehman Brothers’ operations in North America. Founded in 1865 as the Hongkong and Shanghai Banking Corporation to finance trade between Asia and the West, today HSBC is one of the largest banking and financial services organizations in the world. While headquartered in London, the bank has strong ties with Asia and could serve as a stepping stone for those interested in advancing their investment banking career in a more exotic location such as Hong Kong. Now, if huge investment banks aren’t your cup of tea, London has plenty to offer in terms of smaller-scale and boutique investment banks. One of the larger advisory boutiques with an office in the UK capital is Evercore Partners, whose founder and executive chairman Roger Altman served as Deputy Secretary to the Treasury under Bill Clinton. In the UK, Evercore has advised on a number of high-profile transactions including the sale by Phoenix of Ignis to Standard Life. 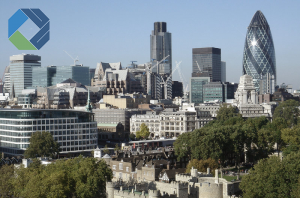 Greenhill is another independent global investment banking firm with strong presence in London. Among the company’s clients is UK pharma giant GlaxoSmithKline which the company is advising on the disposal of a portfolio of consumer and over-the-counter brands. One of Greenhill’s global flagship deals is Actavis’ $25 billion acquisition of fellow drugmaker Forest Labs. If you’re looking into something even smaller, London-based Zaoui & Co is an advisory boutique run by brothers Michael and Yoël Zaoui whose previous roles include senior M&A positions at Morgan Stanley and Goldman Sachs, respectively. In 2015, the company was the sole advisor to Alcatel-Lucent on its €15.6 billion tie-up with Nokia. While not as flashy as Wall Street, London’s City and Canary Wharf offer plenty of opportunities to prospective, as well as incumbent investment bankers, provided that they have the right set of skills. Regardless of whether you prefer a bulge bracket bank or an advisory boutique for your investment banking career, London can deliver.